Fancy a curry and dont want to use up all your syns? 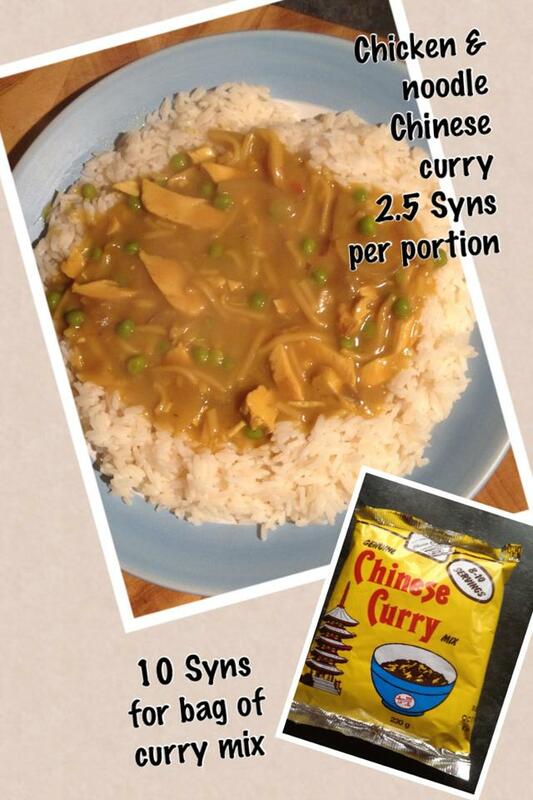 With this Slimming World meal it will only cost you 2.5 syns and believe me its well worth it! I dont follow the instructions on the packet as it makes it a bit to thick for our liking. Generally I add half the bag to aprox 2 pints of water and bring to boil. It thickens very quick and you may need more or less water depending on your taste. Serve immediately. 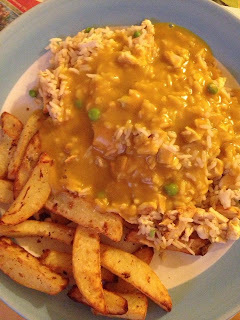 Alternatively instead of using this as a curry sauce you can make a delicious curry and serve with normal boiled rice, you will find my tried and trusted method for cooking rice HERE. 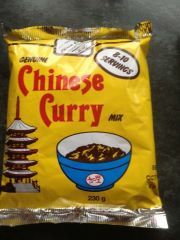 I think anything goes with a quick curry like this but one of my favourites is Chicken noodle curry. Using Frylight, fry onion and mushrooms on a medium heat, once soft add the chicken and cook through. 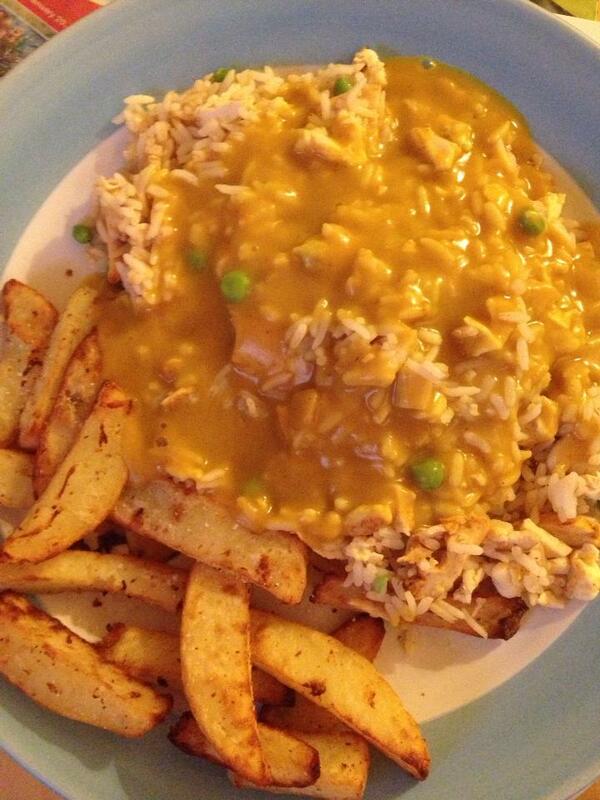 Pour on the curry sauce already prepared. Add frozen peas and dried noodles. Noodles take just a few minutes to soften. You may need to add more water if your curry is too thick. 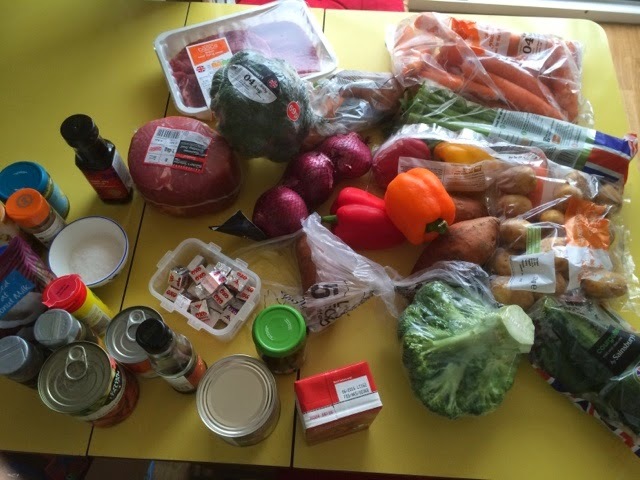 Of course you can add anything to this recipe - other meats and vegetables. Use your imagination!